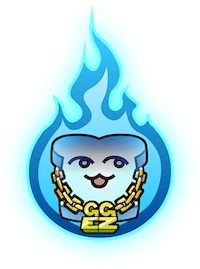 Team Bread is a collective group of game designers, artists, voice actors, musicians and programmers who invest their time working on various projects and games. Currently, our main focus is on AoS. 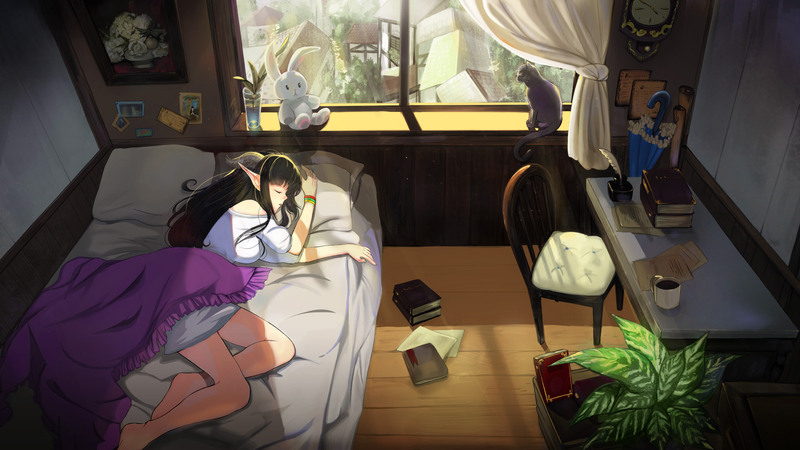 Ambassador of Sieubia (AoS) is an episodic, fantasy-eroge RPG-Visual Novel taking place in an age of kingdoms and nation-states, filled with magic and riddled with diplomacy and war. Monarchs sit atop towers of gold and ivory defending their supremacy. Nomadic tribes of savage beast-men roam the wilds, hungry for loot and plunder. 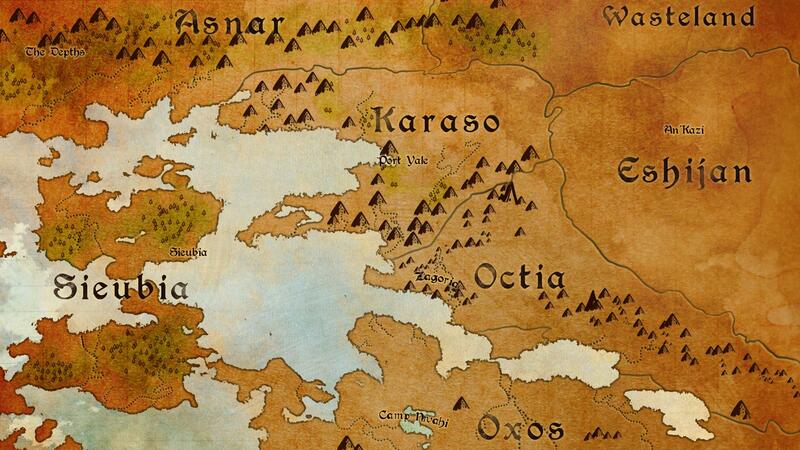 Newly established kingdoms eagerly expand their borders and contest their rivals. With each on a crash-course with one another, how can conflict not arise? It is the tireless, thankless job of diplomats and battle-hardened veterans to calm, coax, and captivate their audience into negotiations of peace, or to establish dominance with an iron fist and an unbreakable resolve. Nisha Ellanor, an orphan who owes everything in her life to her kingdom is taxed with this duty and must find a way to bring balance to an unstable world. Follow Nisha's journeys throughout various assignments and personal adventures. Help guide her path by making important decisions ranging from which missions she undertakes and how she serves her country to whom she befriends and opposes...and falls for. 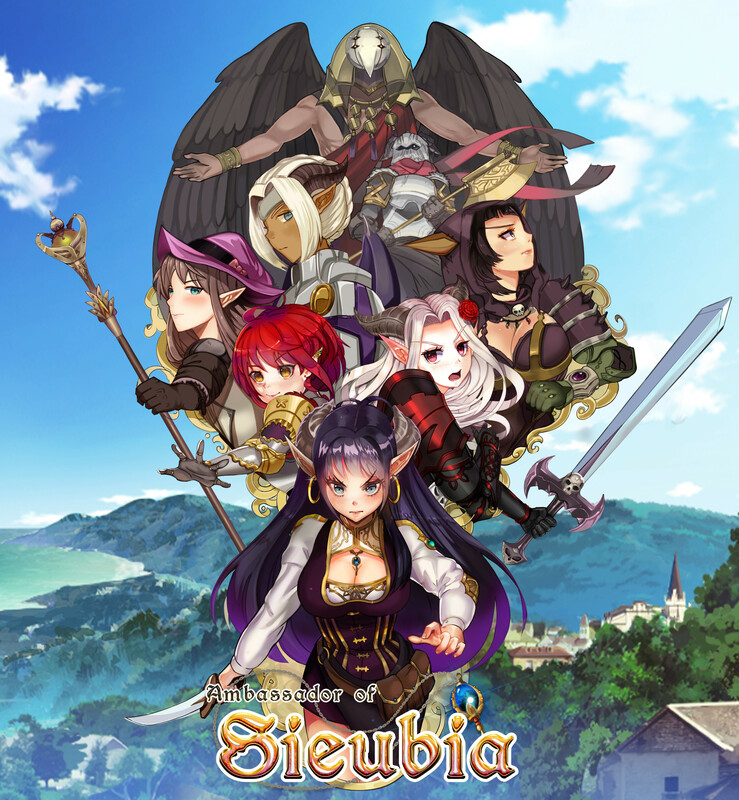 Ambassador of Sieubia is designed to give players a taste of the classic VN-dating sim format blended with a simple, unique combat and world system that allows the customization of characters, different party combinations and a plethora of scenarios and missions that come and go with time, along with an engaging main story arch and a series of memorable, difficult bosses. Because of the limited availability of events and missions and their various difficulties and rewards, we urge players to experiment and play in numerous ways each play through. Everyone has their own custom, niche playstyle and half the fun is discovering it. If this project interests you, please consider becoming a patron! We wouldn't be able to do what we do without public support from viewers and players like yourself! A simple gesture to show your support and to keep up with some of the more regular updates we post. 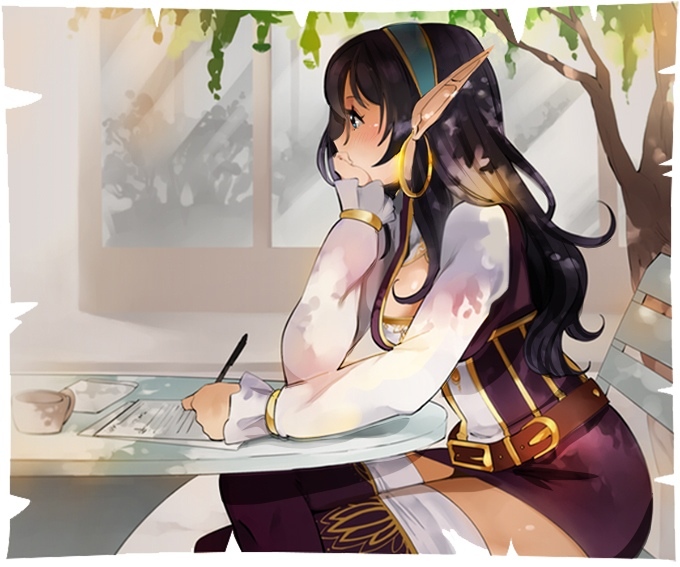 Keep up with all of our finished art updates - sketches, sprites and occasionally scenes. View all of our art assets in the process, from beginning to end on our feed. The highest quality JPG/PNG/PSD and MP3 assets from the game will be available for download. Beta/Demo access along with an invitation to our Tester/Feedback Discord server where you can give us feedback, or even pitch ideas to us that you think would do well in the game. Vote in polls and give us your perspective on what we're doing. Whenever we create a game, help us design a character or implement a character you've already made into our medium. Beta/Demo access before anyone else along with personal dialogue with our creative team to give suggestion/critique on discord. Free downloads of highest quality JPG/PNG/PSD and MP3 Assets. This much money would help us produce a sprite or a scene art regularly a month and without delay, leading us to having the game done sooner.